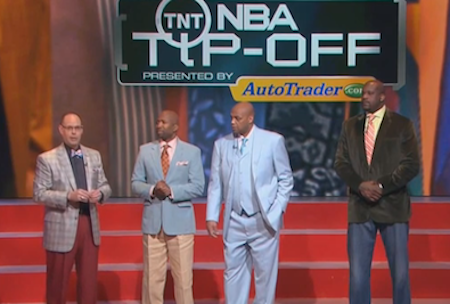 Get Well Suits for Sager! 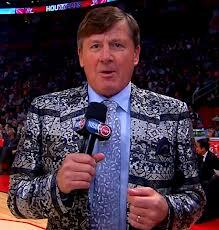 NBA sideline analyst Craig Sager is widely known for his flashy suits. He keeps things vibrant courtside, while getting the skinny from players, and sometimes distracting them with his attire. It was recently announced the Atlanta-dressed reporter is battling leukemia. While missing him dearly around TNT, his fellow basketball broadcasters decided to support his fight by dressing in Sager-inspired attire. Charles Barkley, Kenny Smith, Shaq, and anchor Ernie Johnson rocked their best Craig impressions to show solidarity and wish him a speedy recovery. You can send your well wishes using #GetWellSager. Get well, Craig. Can't wait to see those suits back on the sidelines. *To enjoy more Sager suits, check out this Tumblr.